TechPats can efficiently identify costs and fees associated with maintaining a patent with the United States Patent and Trademark Office, or patent offices abroad. Whether predicting future expenses or reconciling past payments, TechPats can gather the requisite maintenance fee data for portfolios of all sizes. Moreover, by analyzing data such as maintenance costs and valuations, TechPats can present financially pertinent data to help with Due Diligence efforts, IP strategy, and business policies. One of the most important business decisions is to determine if and when it is appropriate to abandon a patent. 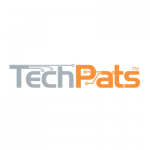 TechPats can help in weighing the costs and benefits for patents that are costing an owner the most via upcoming maintenance fees. Only the most experienced patent professionals can look at a patent and determine if the claimed invention will likely never be infringed or the technology has just not caught up yet. Even if a patent owner is not read to abandon an asset outright, identifying low-return patents may yield other potential options such as unique opportunities for transactions or transfers.